My daughter is obsessed with bath balls at the moment. I will definately make these. Where can I get the molds from? I guess anywhere that sells soap making supplies should have them? 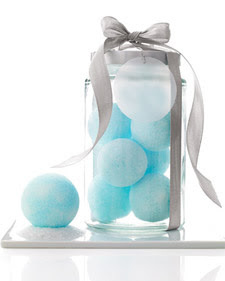 they look absolutely beautiful presented in the glass jar with the grey bow, what a perfect colour combo! What a gorgeous idea - and my colour too. My girlfriends would love those for Christmas gifts! PS I have set up a new blog http://countrystylechic.blogspot.com if you feel like popping by! Just ran across your blog! Love it! 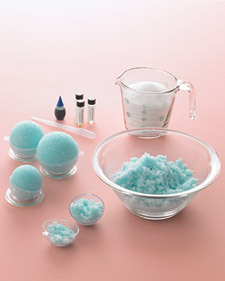 And the snowballs... amazeballs!! !